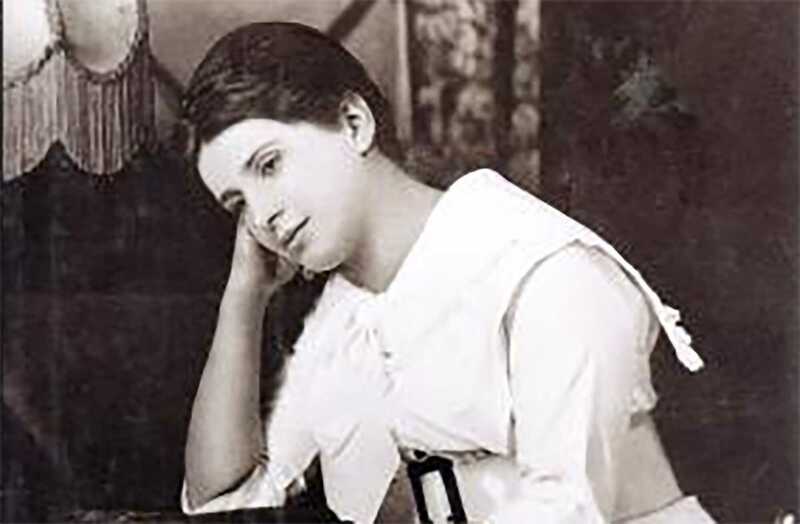 In The Story of My Life, Aimee Semple McPherson described her reaction to the theory of evolution, which she first read about in a high school geography textbook. In the upper class a new book was introduced. It was labeled, High School Physical Geography, but it rocked the foundations of my early faith. So-called science was arraigned against the Word of God, evolution against Genesis, and mundane chance against the miraculous. Aghast at its heresy, I cornered a professor in his laboratory den. "May I speak to you, sir?" "I have been brought up to believe that my Bible is infallible." "I find my new textbook diametrically opposed to its teachings. Would you please tell me which to believe?" Looking down from his superior years of height and wisdom, he smiled tolerantly. "Your Bible is wonderful classic of literature. As such, it is worthy of your notice and study. But as to its scientific value and early history of the human race, it is woefully bigoted and misinformed. Ancient superstitions have been superseded by biological research, faith by nebular hypothesis, and the mud man of the Pentateuch by the amoeba of Darwin. "Then, the school book...?" I quavered. "And ... the Bible is filled with falsehoods?" I had a feeling that the ground had opened up and swallowed me. I was falling down, down, down, down into a black coal chute where leering specters jeered, "There is no God! There is no heaven! There is no hell! If the Scriptures tell one lie, they must leak like a sieve! Now where's your faith? Now where's your faith?..." "For Aimee," says historian Edith Blumhofer, "the confrontation -- partly within herself and partly with the school system — was dramatic and decisive." Finding in herself a powerful conviction for the Bible, Aimee wrote a letter to the local paper, calling on fellow students "to rally and stand by the sacred old truths, which ... through the ages have withstood every storm and risen triumphant above every blast in spite of all the cold-blooded reasoning of scientists." In 1907 Aimee Kennedy heard a charismatic revival preacher, Robert Semple. With her faith restored, and newly married to Semple, she began her life of preaching the gospel. In her personal battle between Genesis and evolution, Darwin had lost. 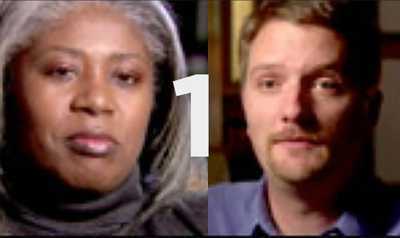 Interview excerpts from Professor Anthea Butler and Professor Matthew A. Sutton. 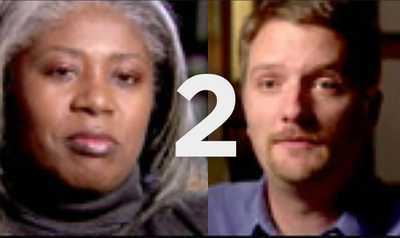 Interview excerpts of Professor Anthea Butler and Professor Matthew A. Sutton. 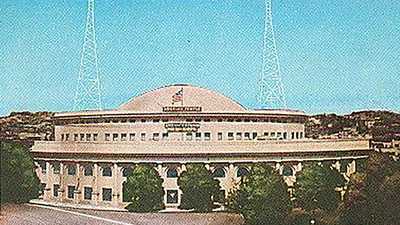 On January 1, 1923, Aimee Semple McPherson opened the 5,300 seat Angelus Temple to the public.